Lionel Messi and his bride Antonella Roccuzzo pose for photographers just after their wedding. 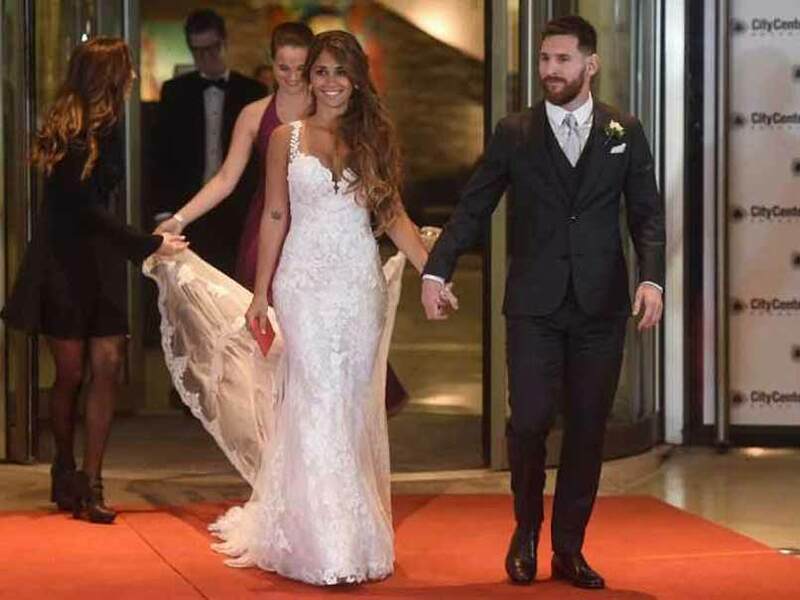 World famous footballer Lionel Messi said “I do” to childhood sweetheart Antonella Roccuzzo on Friday in his Argentine hometown Rosario, where footballers and celebrities including pop singer Shakira had gathered for the “wedding of the century.” Following the private ceremony the couple appeared happy and relaxed as they walked a red carpet before hundreds of media at a hotel and casino complex, Roccuzzo donning a tight, mermaid-style gown by the Spanish designer Rosa Clara. Shakira and her husband, Messi’s teammate Gerard Pique, flew in to join the 260 guests including numerous footballers such as Messi’s Barcelona strike partners Neymar and Luis Suarez. Argentine media called it the “wedding of the century” for Rosario, the gritty northern port city where Messi, 30, and his bride, 29, met when the player was nine years old. Former Barca and current Chelsea star Cesc Fabregas was in attendance, along with Argentina and Manchester City striker Sergio Aguero. 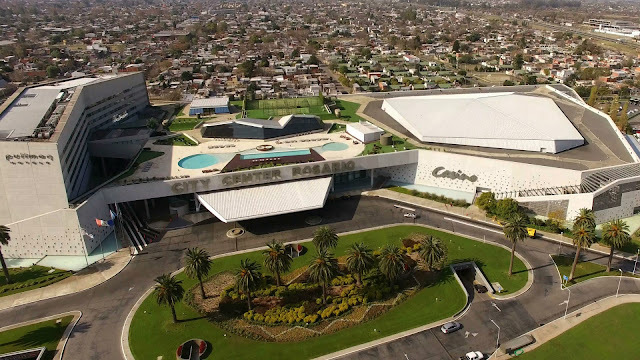 The venue for the occasion was City Center, a hotel and casino complex, with a team of 200 security agents led by a former Argentinian military official were present to ensure no unwanted guests crash the premises. A big screen was erected outside the venue so fans were able to watch the ceremony from a safe distance. Messi’s choice of venue caused some surprise. While the hotel is flashy, it is right next to a tough neighbourhood called Las Flores, in which the ‘Los Monos’ drug gang has a strong presence. Queen Elizabeth Turns 90 in Style and Still Going Strong!